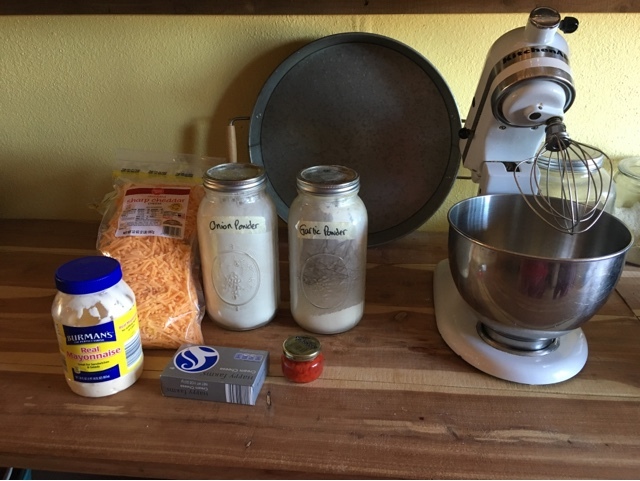 Carlie Jean loves pimento cheese... not the kind you buy in a tub at the grocery store, but homemade, yummy, creamy pimento cheese. I am one that didn't want to eat the orange stuff from the store either, it was far from appealing to me. Now that we make our own though, it is a different story. We made some together for a Christmas get-together, here's how we made our version. 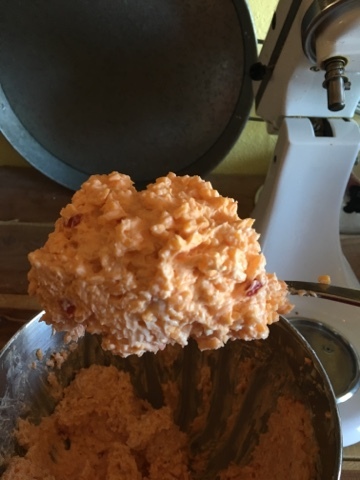 Mix vigorously in your mixer, but I also was thinking that it would be a good thought to use the food processor too. That might give it a smoother texture if you like that. We kinda like it this way. Grab some slices of good bread, or some crackers, some veggie sticks, or a pita and have a yummy lunch or snack! Yum this looks delicious! 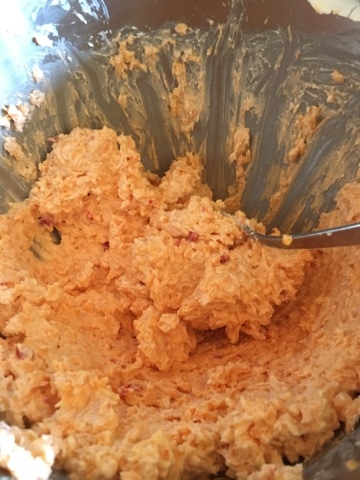 My husband loves homemade pimento and me too but I have never tried making it! I'm going to try this thank you so much for sharing!